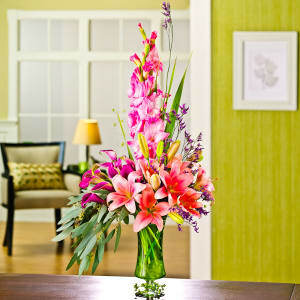 A beautiful gift for the home. 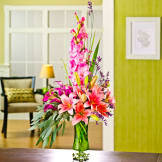 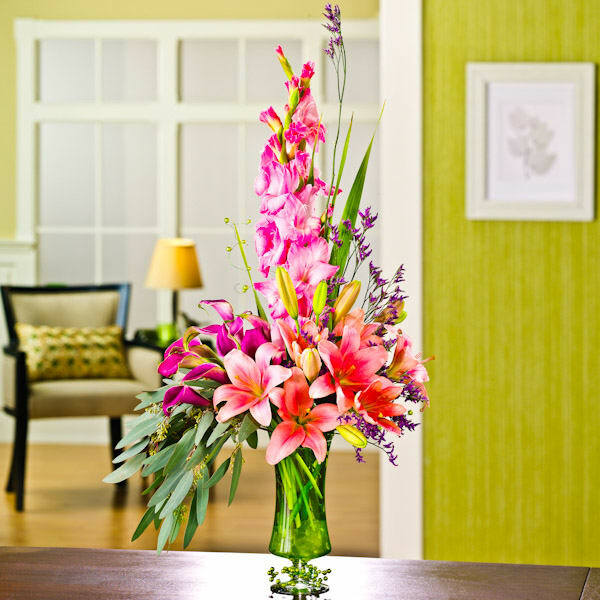 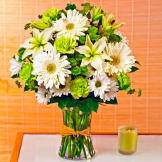 • This display comes with lilies, gladiolus, statice and eucalyptus hand arranged in an 8"H green glass footed vase. 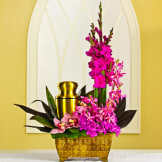 • Measures 35"H x 18"W x 15"D.